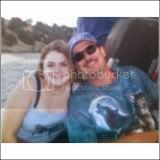 I'm new to the site as I lost my dad on Aoril 28, 2012 (my 16th wedding anniversary with my husband)....after a horrific battle in the hospital for 44 days that we still don't really have the answers for what has happened to him. It is really my first experience with grief. I lost my grandparents when I was much younger but I felt more for my parents at the time than I did for myself. My mom received over one hundred cards after dad passed - a real tribute to the man he was. He was there for everything and he was a gentle man and we just don't understand why he would have been taken from us in the way that he was? My mom is trying hard, I know she is but she struggles every day and my heart breaks for her....any advice would be greatly appreciated. Everyone here seems so special - I know I will be glad I discovered this site. My dad's birthday is October 24, 1933 - a true Scorpian was he! I am so very sorry for your loss. Dad's are so special, teaching us to ride our bikes, fly a kite or walking us down the aisle at our wedding. we could feel this awful? Just take it one day at a time, or one hour at a time if that's all you can do. whatever it takes. It's a journey no one wants to take but unfortunately we don't have a choice. here on earth as someone is passing, the people waiting for them in heaven are smiling, saying here she comes." I miss her every minute of every day. I can't believe a year has gone by and I won't ever see her again. Many people who I never would have believed had gone through the same thing have reached out to me. I guess that's the silver lining if there is such a thing. I hope you have a loving, supportive spouse who can help you along the way. I, fortunately, had the opportunity during the last days of my dad's life to put together a video to music of all the wonderful pictures we had of him. Do you know, he was ALWAYS smiling. As he passed on my anniversary I said I will always remember how happy he was that day - he was so proud as I am his only daughter - I have four brothers. The hard part is, he got sick on March 15th became unresponsive on March 16th so, the last time I spoke to him was probably March 13 or 14....so, the grieving has been very tough since it started many days before he actually died. Every time I think of Dad, I smile because he was a wonderful man...I just wish I could give him one more hug! Hi Bonjeans - I'm sorry to hear of the death of your Dad. My Dad just died in December after a long battle with Alzheimer's. Welcome to Webhealing and thanks for sharing your story with us. Post any time, there's always someone here to listen. Please take care of yourself as grief can really zap us. I'm glad to know you have the support of your spouse. I look forward to hearing more about your Dad when you feel up to sharing about him. Again, I am so sorry. Please know I understand how stinging the finality of death can be, both to our hearts and our souls. Welcome Bonnie ~ I am so very sorry for the loss of your Dad. You have come to the right place, we are all here for you and we all understand. Come back soon and let us know how you're doing and tell us more about your Dad. Bonnie - how are you doing?